When will be I Love You, America next episode air date? 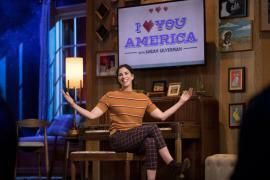 Is I Love You, America renewed or cancelled? Where to countdown I Love You, America air dates? Is I Love You, America worth watching? From inciting treason to telling poop jokes, Sarah Silverman has created her fair share of online chatter. With I Love You, America, she's looking to connect with people who may not agree with her personal opinions through honesty, humor, genuine interest in others, and not taking herself too seriously. While it's great to connect with like-minded people, Silverman feels it's crucial, now more than ever, to connect with un-like-minded people. Sarah discusses people who misuse religion for selfish purposes, then heads to New York City to have a heart-to-heart with Lady Liberty. Senator Cory Booker is her guest. 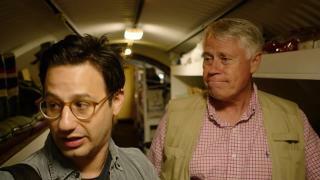 I Love You, America next episode air date provides TVMaze for you. EpisoDate.com is your TV show guide to Countdown I Love You, America Episode Air Dates and to stay in touch with I Love You, America next episode Air Date and your others favorite TV Shows. Add the shows you like to a "Watchlist" and let the site take it from there.